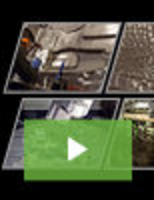 Pneumatic/Hydraulic Pumps serve precision clamping applications. Hydraulic Hand Pump delivers 15,000 psi of pressure. Along with transparent fluid chamber reservoir for easy viewing of fluid levels, scissor-action HHP 1000 Hydraulic Hand Pump features fine adjustment vernier and pressure release value. Able to produce pressures from 0-15,000 psi, pump options include hydraulic hose with fitting, set of 5 adapters, pump-only carrying case, and carrying case for pump, adapters, and hose. Hydraulic Hand Pump delivers up to 15,000 psi of pressure. Hydraulic hand pump HHP 1000 includes transparent fluid chamber reservoir for viewing of fluid levels, fine adjustment vernier, pressure release valve, high/low selection knob stroke adjustment, and scissor action pump. Optional features included are hydraulic hose with fitting, carrying case for pumps, hoses and adaptors, and up to 5 set of adaptors. 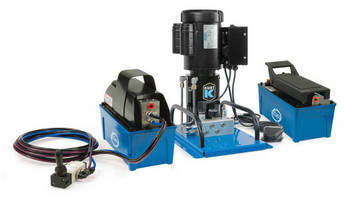 Hydraulic Hand Pumps range up to 15,000 psi. Featuring scissor action, Models HHP200/300, HHP 700, and HHP 1000 offer pressure ranges of 3,000/4,000, 10,000, and 15,000 psi, respectively. Units include transparent fluid chamber reservoir for viewing of fluid levels, as well as fine adjustment vernier and pressure release valve. Hydraulic hose, carrying case, and adaptors are optional. Hydraulic Hand Pumps are rated to 15,000 psi. 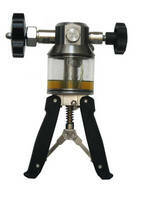 Hydraulic Hand Pump acts as handheld calibration system.